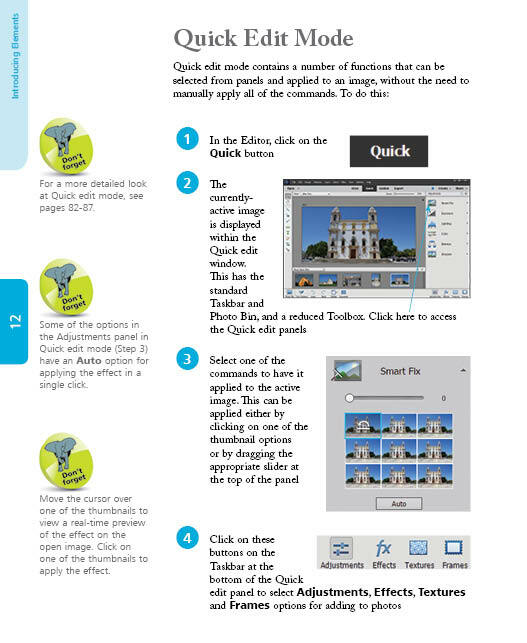 Over 1000 tips, tricks and shortcuts to help you get the most out of Adobe's Photoshop Elements 2018. Photoshop Elements is well established as the premier consumer photo-editing software, and the latest release is Photoshop Elements 2018. 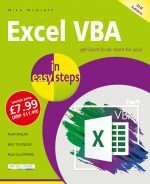 This enhances the software's reputation as a powerful and easy-to-use option for photo-editing, with a range of features for editing and creating photo effects and also a powerful Organizer for managing your photos. Photoshop Elements 2018 Tips, Tricks and Shortcuts in easy steps not only offers a comprehensive guide to getting up and running with the software, but goes further: providing a wealth of detail in ways to progress to more advanced photo-editing and also find some of the hidden secrets of the software. 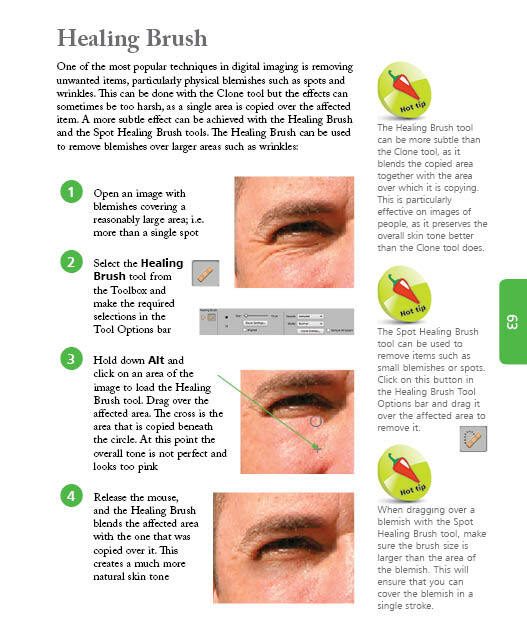 Although the book looks at some of the ways you can expand your photo-editing exploits, it does not forget new users or anyone who wants to brush up on the basics. Navigating around Elements and organizing images. Using Quick Wins for removing unwanted objects, and Guided edits to create special effects. Using Text and Drawing tools to add and edit text. 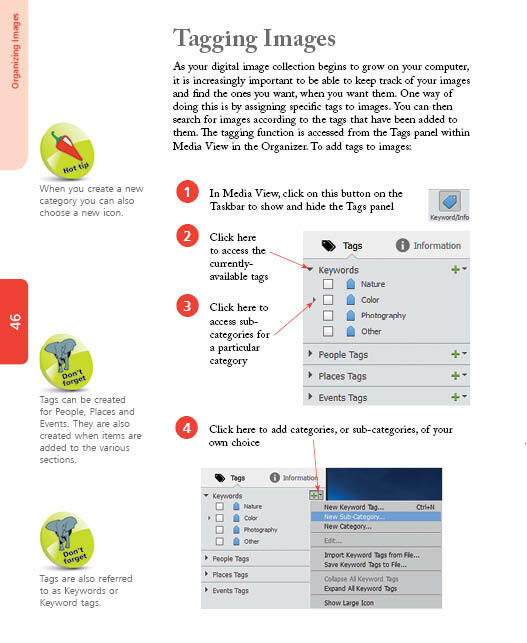 Sharing your photos in a range of formats, such as photo books or cards, and on social media. New key features such as Auto Curate, Artistic Overlays, opening closed eyes, adding watercolor, and replacing backgrounds in your photos. Layered images, reducing camera shake or haze, removing imperfections, creating impressive text, removing red-eye, and more. 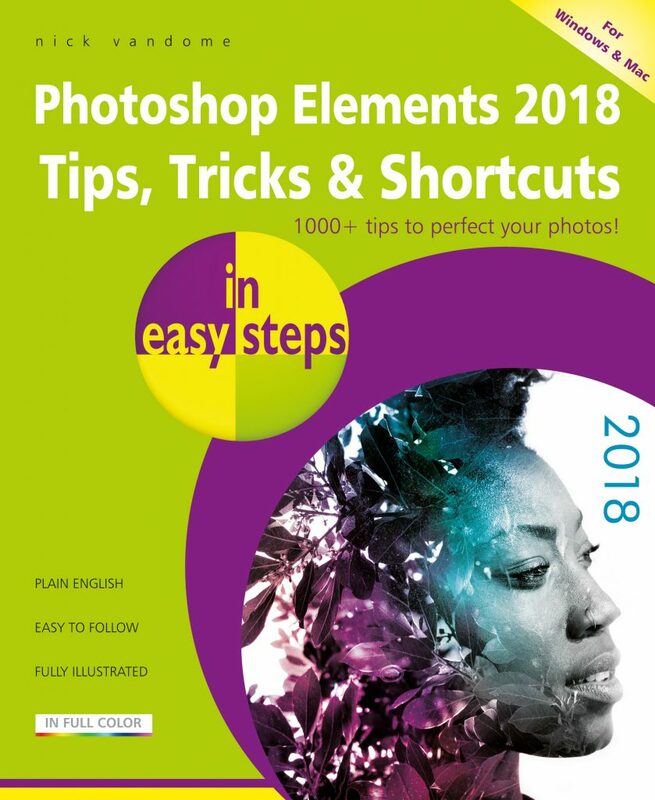 Photoshop Elements 2018 Tips, Tricks and Shortcuts in easy steps has something for everyone: an in depth introduction for new users, and a range of options for those who want to take their photo-editing to the next level. Throughout, there are hundreds of tips and handy hints so that you will feel like an Elements expert in no time. Covers versions for both PC and Mac users.